While you won’t get quite the same performance as their competition, the Kia Optima does quite well overall. When you’ve built a car brand on the basis of low-priced transportation for the common folk, as Kia has, breaking out of that mold isn’t easy. For years, Kia has built cheap, almost throw-away cars that simply got you from point A to point B in a no-frills fashion. Admitting you drove a Kia wasn’t a source of pride, but an exercise in humility. So where the heck did this 2016 Kia Optima come from? First introduced in 2001, the latest Optima steps up Kia’s game from a bargain commuter to a real-life family sedan. Early models had their share of entry-level problems like electrical and engine issues. 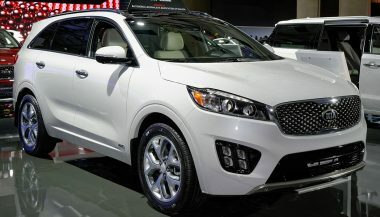 But over the next 15 years, Kia changed their business model and elbowed their way into competition with the big boys. That’s where they sit now – in seventh place for overall mid-size sedan sales, behind the likes of the Honda Accord, Toyota Camry, and Ford Fusion. 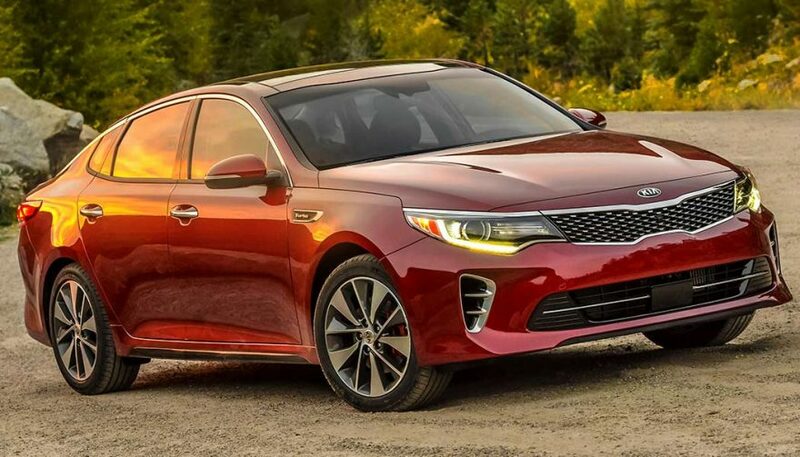 Initially, the 2016 Kia Optima doesn’t look all that different from the outside. There’s still the familiar black “tiger nose” grille accenting the large Kia badge above. The body lines are quite similar to other cars in its segment. 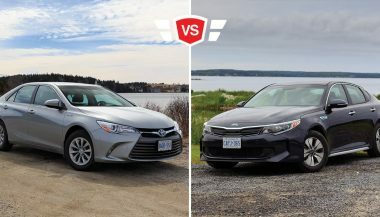 Toyota Camry, Honda Accord, Ford Fusion, Hyundai Sonata – you could almost interchange the badges and pass them off for each other. Slight differences are a lower rake in the roofline over the rear seat, taillights that wrap around the rear quarters, and a rear diffuser that’s kind of cool. What Kia has done to set themselves apart seems to have worked, at least among the critics. J.D. Power awarded the 2016 Kia Optima “Highest Ranked Vehicle Appeal Among Midsize Cars”. Climbing inside the cabin yields a modest surprise. If you expected the same bland Kia as the turn-of-the-century model, it’s a bit of a shocker. While there’s no one aspect that’s going to drop your jaw, overall it’s clean, well laid out, and very functional. 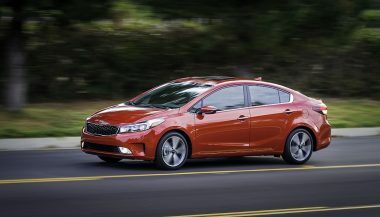 Like most other midsize family sedans, the primary focus is still on the driver. The seating is quite comfortable all around, no matter the trim level. LX and LX 1.6T trims get cloth seats with the YES! Essentials fabric treatment for easy cleanup. All other trims receive leather seating, with optional Merlot leather in the SX trim and standard quilted leather for the SX Limited. There’s no argument that interior construction is elevated much higher than previous generations. It might even be on par with others in its class. As an extra touch of class, the 2016 Kia Optima keeps your bottom toasty warm with heated seats on EX, SX, and SXL trims. SXL also has standard heated rear seats and ventilated front seats, which remain optional on the EX and SX. All three have standard heated steering wheels to warm your grip on cold winter days. A few items are still a little disappointing. Materials used inside are mostly high-quality and soft-touch material is fairly wide-spread. There are a few items, particularly on the dash, that are still cheap hard plastic and bring down the overall impression a bit. The steering wheel looks way too cluttered with controls for Bluetooth, cruise control, and audio controls. And due to the raking roof design, tall rear seat passengers will have to slouch to avoid rubbing their heads on the headliner. The Optima clearly has a grasp on the features required to be a competitor. Inside, the Optima is adorned with all the standard features you’ve demanded for years, along with higher-end equipment you’ve always wanted. LX and EX trim levels have a 3.5-inch TFT display in-cluster with all the relevant essentials. Upper echelon trims have a 4.3-inch display with similar functions. And unless you choose the base LX model, you’ll receive push-button start and dual zone air conditioning. The infotainment system is an 8-inch touchscreen display. LX and EX trims are radio/CD/MP3/Sirius XM equipped as standard. Kia’s UVO e-Services with Navigation infotainment system is an option on the LX 1.6T and EX, while it’s standard for the SX and SXL. A symphonic Harmon/Kardon QuantumLogic audio system with 630 watts of premium sound from 10 speakers is standard equipment on the fully-loaded SXL, and optional on the EX and SX. Regardless of the trim level you choose, your 2016 Kia Optima will have a rear-view backup camera. The top-tier SX Limited has a Surround View Monitor providing a birds-eye view for a full 360 degrees around your car. Advanced Smart Cruise Control, Lane Departure Warning, Forward Collision Warning, and Autonomous Emergency Braking are options for the SX trim, and Blind Spot Detection and Rear Cross-Traffic Alert can be had in every trim level. As expected, the SX Limited has it all as standard. The 2016 Kia Optima has a number of different powertrain configurations, catering to as many people as possible. 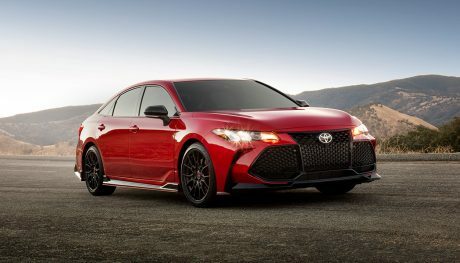 The base engine on the LX and EX model is a naturally-aspirated 2.4-liter engine, paired with a six-speed auto transmission. Its 185 horsepower and 178 lb-ft of torque is on par with its competition but somewhat underwhelming. LX 1.6T models have, as expected, a 1.6-liter turbocharged 4-cylinder. It pushes a modest 178hp and 195 lb-ft of torque but focuses mainly on achieving better fuel economy. The turbocharger gives you a slight kick in the pants as the RPMs spool up. A seven-speed dual-clutch transmission enhances the drive with crispy-clean shifts. SX and SX Limited models are equipped with the turbocharged 2.0-liter four-banger with 245 horsepower and 260 lb-ft of torque. It’s well-paired to the car with the six-speed automatic. However, when competing with the higher-powered Hondas, Toyotas, and Fords it competes with, it doesn’t quite match the performance expectations for the top of the class. The first thing you’ll notice on a drive is how quiet the interior is. Noise reduction techniques are used all over in the 2016 Kia Optima. It’s done so well that you may think you’re in a luxury brand. Road noise is at a minimum, but so is road feel. The Optima’s steering is soft and dead, which is a shame because it handles quite well otherwise. Suspension systems are the commonplace McPherson strut front suspension and multi-link rear, although high-performance dampers are used to help you stick to the road. Another bright spot for the Optima is Drive Mode Select. You can choose from Normal, Eco, and Sport modes to match your driving mood for the moment. It does tighten up the steering input slightly, but it doesn’t quite feel like a proper sports sedan. The 2016 Kia Optima line spans a wide range of consumer tastes. Entry-level buyers get a sweet little package in the well-equipped LX trim. Those who want fancy features without a huge price tag will be satisfied with the SX or SXL trim level. The best value is definitely in the SXL trim. Its package contains features normally seen on cars $10,000 more expensive than the Optima SXL. While you won’t get quite the same performance as their competition, the Kia Optima does quite well overall. Sure, it needs to eliminate some steering wheel clutter and hard plastics inside. And the steering could use some improvement. 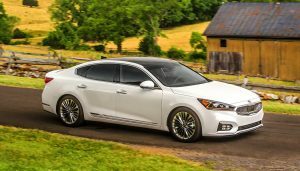 Will the Kia Optima overtake the segment in sales? Not yet. Are you getting fantastic bang for your buck? Definitely. The Toyota Camry hybrid and the Kia Optima hybrid are great choices for midsize sedans with excellent fuel efficiency. Let's see how they look side by side.